At least 5 different bands are using this name. 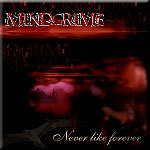 1) Mindcrime is a German Band playing "Dark Melodic Metal". They were formed in 1998 by bassist Mario Junker and vocalist Christoph Weller and disbanded in late 2007. After the release of the album "Never like forever" they released "Tourniquet Sleep" on the label Black Bards Entertainment in 2004/5. In the same year they toured through Europe with Morgana Lefay and Lanfear. In 2006 they released their latest album "Strandead". You will find the voice of Charles (Morgana Lefay) in 2 songs. On October 17th, 2007, they announced that their last concert will be played on November 16th and that after that, the band will split up after 8 years. 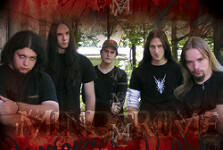 There is also a metalcore band from Hungary, a Death Metal band from France and a band from Serbia using the same name. 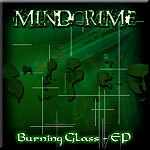 mindCRIME was a swedish band playing soft melodic rock/blues, they only ever made 6 songs, which were made as a school project after which they disbanded. Some members now play with Janne Berglund, singer/guitarist of J B´s Wiretag Band.